LAS VEGAS, Nevada, December 31, 2016 (ENS) – The Consumer Electronics Show, or CES, held annually in the first week of January in Las Vegas, is becoming the place to unveil exciting electric cars, upstaging the Detroit Auto Show held a week later, the usual venue for automakers to reveal new models. This year, when the interlinked CES venues open for media days, January 3-4, 2017, electric cars will be in the spotlight. The show is open to the consumer electronics industry from January 5-8. Mercedes-Benz will showcase its new corporate strategy called CASE, built on four pillars. The strategy gathers all of the megatrends that are set to disrupt the traditional concept of the privately owned, gasoline-powered automobile. Under the banner of CASE, Mercedes-Benz will present the Concept EQ and the Mercedes-Benz Vision Van on the same stage for the first time. In the Concept EQ, a study with the appearance of a sporty SUV crossover, Mercedes-Benz provides a glimpse of a new vehicle generation with battery electric drive. The Mercedes-Benz Vision Van, a van for urban use, combines a wealth of innovative technologies for ‘last mile’ deliveries in an integrated system. Another major automaker, Fiat Chrysler, is set to unveil an electric concept car at CES 2017. According to a report by Bloomberg, it is thought to be an all-electric minivan – a first for any automaker in the U.S. market. Faraday Future, a Chinese-backed, American start-up tech company headquartered in Gardena, California will unveil its first production model, an electric car at the 2017 Consumer Electronics Show. The car travels on the skateboard-shaped platform used by most electric cars, with the batteries situated in the floor and an electric motor mounted on one or both axles. 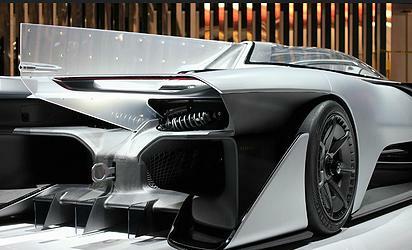 Faraday Future previewed its platform, dubbed the VPA, at the 2016 CES in the 1,000-horsepower FFZERO1 electric supercar concept. To power its electric cars, Faraday Future will rely on batteries developed in partnership with LG Chem. In the first week of December, Honda offered an early look at its concept car poised for unveiling at CES 2017 – a self-driving, all-electric commuter car for urban environments called the NeuV. The NeuV features a new type of interface called the Emotion Engine that Honda says uses artificial intelligence to enable new ways for people to interact with cars. Honda’s Emotion Engine technology allows the car to react to its owner’s conversations and emotions, so that the driver forms a deeper emotional bond to the vehicle. BMW will show the latest version of its Gesture Control system, first available on the 2016 7-Series, that allows a driver to give basic commands by just waving a finger. At the CES 2016, BMW showed a version of the system called AirTouch; the commands are made by gestures in the air and sensors pick up what the hand is doing. Ahead of the 2017 Consumer Electronics Show, BMW previewed a more advanced gesture control system called the HoloActive Touch, which combines the earlier AirTouch system with a display like a hologram generated above the center console by the clever use of reflections. The driver can enter commands by interacting with the display using hand movements. A camera detects the hand movements and registers the position of fingertips and other parts of the hand. As soon as a fingertip makes contact with one of the virtual menu options, a pulse is emitted and the selected action is activated. BMW says the driver even perceives tactile feedback so that he or she will know an action has been taken. In Las Vegas, BMW will present the HoloActive Touch system in a new concept called the i Inside Future. 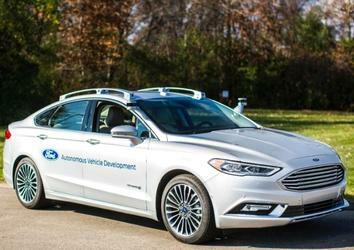 Ford is introducing its next-generation Fusion Hybrid self-driving development vehicle at the Consumer Electronics Show. The new vehicle uses the three-year-old Ford autonomous vehicle platform but intensifies the processing power with new computer hardware. Electrical controls are closer to production-ready and adjustments to the sensor technology, including placement, allow the car to better see all around itself. New LiDAR sensors have a sleeker design and more targeted field of vision, which enables the car to use just two sensors instead of four, while bringing in just as much data. Building on more than a decade of autonomous vehicle research and development, in August, Ford announced its intent to have a high-volume, fully autonomous Society of Automotive Engineers-defined, level 4-capable vehicle in commercial operation in 2021. 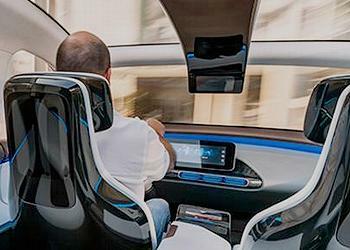 Plans are to design it to operate without a steering wheel, gas or brake pedal, for use in commercial mobility services such as ride sharing and ride hailing within geo-fenced areas. It is expected to be available in high volumes. This year, Ford tripled its autonomous vehicle test fleet, bringing the number to about 30 self-driving Fusion Hybrid sedans on the roads in California, Arizona and Michigan, with plans to triple it again next year. Autonomous vehicles in 2021 are part of Ford Smart Mobility, the company’s plan to be a leader in autonomous vehicles, as well as in connectivity, mobility, the customer experience, and data and analytics.